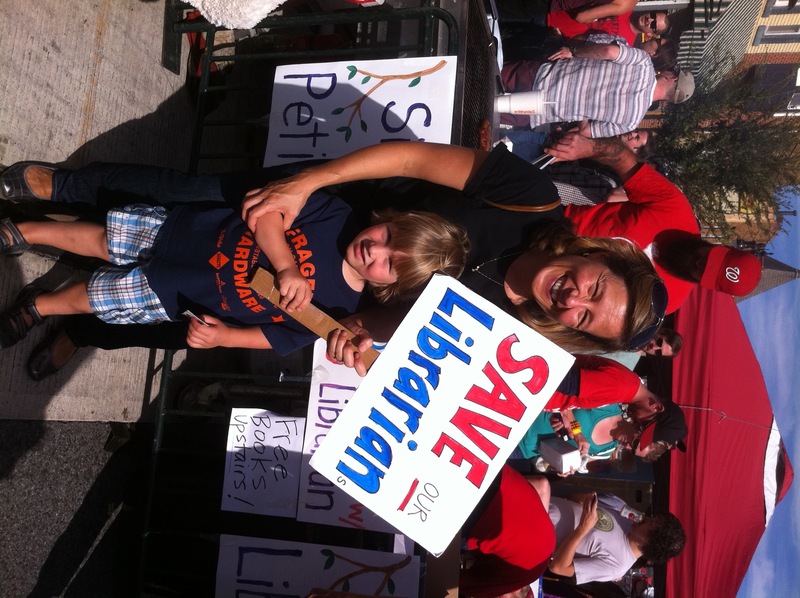 Save School Libraries Pop Up Library at H St Fest a Success! Thanks to everyone who came out to the H Street Festival this weekend where we had over 2000 books and collected 601 handwritten signatures! The Pop-up library at Toki Underground restaurant was fantastic: people perused books, read some and always left with a free, new book. Toki’s owner Eric and ANC Commissioner David Garber (whose own mother is a librarian) were super supportive! See photos here. Didn’t make it? No worries, you can support this effort by signing the petition and by reaching out to DC leaders and asking them to save school libraries. Read this fact sheet for more information –> Library Facts Handout 9-19.